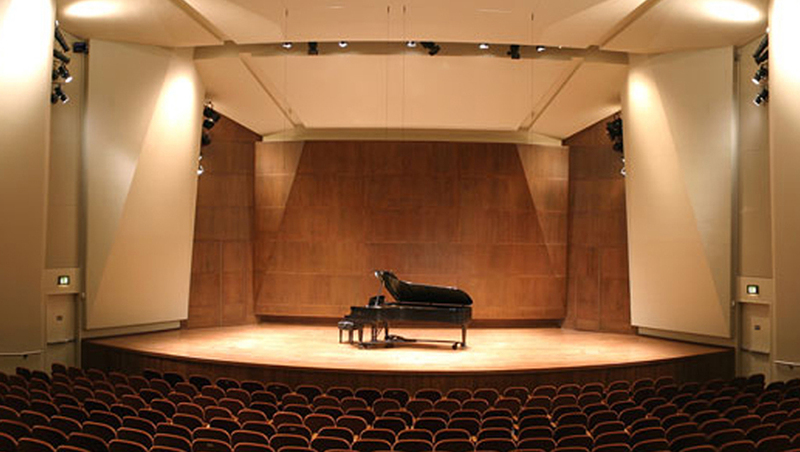 SCMS performances are hosted in Benaroya Hall’s Illsley Ball Nordstrom Recital Hall. Benaroya Hall houses two performance halls in a complex that is thoroughly integrated into downtown Seattle. Occupying an entire city block at the very core of the city, the development celebrates the vital role of performance events while maintaining the continuity of commercial life along one avenue and providing a much-needed public space, in the form of a terraced garden, along another. To learn more about Benaroya Hall, visit benaroyahall.org. 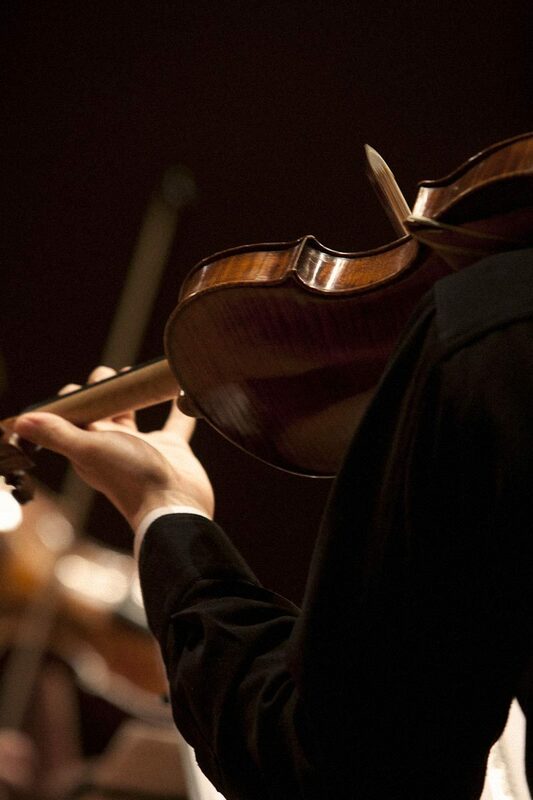 Seattle Chamber Music Society concerts are held in the Illsley Ball Nordstrom Recital Hall at Benaroya Hall. The 540-seat Hall has been created as a space that is complementary to the principal 2,500-seat auditorium, providing an elegant venue for performances by smaller ensembles and solo artists. It gives community-based organizations the opportunity to present concerts in a relatively inexpensive and acoustically excellent venue. The Recital Hall occupies the north end of the site and is related in its design expression to the main auditorium. The Recital Hall’s acoustics are created by sculptural shapes that diffuse sound: folded planes with triangular surfaces that surround the performers and audience. The stage house and stage floor are of cherry wood, providing a visually and acoustically warm environment for the performers. Benaroya Hall was opened in September 1998. The hall is named after Jack Benaroya (1921-2012), who laid the groundwork for the hall in 1993. Cyril M. Harris (1917–2011) was the acousitical consultant for Benaroya Hall. Harris spent his entire professional life in the field of acoustics, as a research scientist, teacher, author of numerous books, and the acoustical designer of many performing arts facilities. 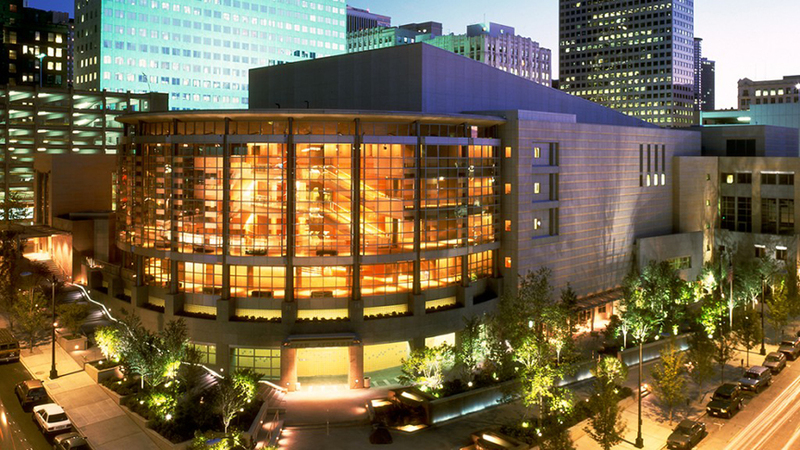 Benaroya Hall hosts more than 700 public and private events each year! Major works of art were commissioned for the Hall by American modernist Robert Rauschenberg and glass artist Dale Chihuly. The site includes a Garden of Remembrance, designed by Robert Murase, to honor the memory of Washington State residents who were killed in service in World War II and the conflicts of Korea, Vietnam, Grenada, the Persian Gulf, Kuwait, Iraq and Afghanistan.